The classic legend says that the Giants Hercules exterminated during the Giant Battle are buried under the mighty rocky canyons of Mykonos. Its name seems to mean “heap of rocks” or “rocky land”. 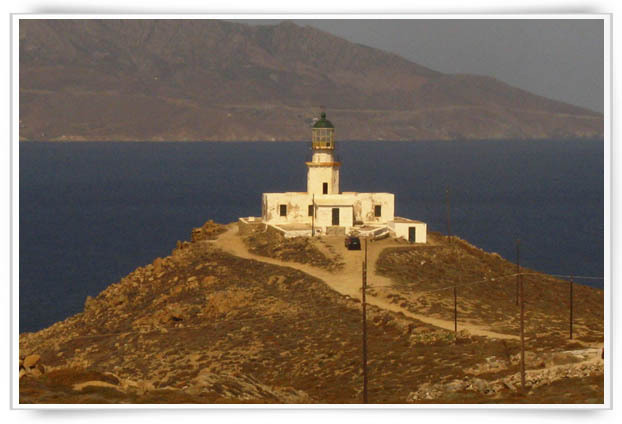 According to a more modern aspect, the island is connected to the hero Mykonos, son of the King of Delos Anios, son himself of the god Apollo and the nymph Roios, coming from Dionysus. Kars and Phoenicians are said to have been the first inhabitants of Mykonos, but Ions from Athens settled and ruled the place around 1000 B.C., banishing the former. Dionysus, Demeter, Zeus, Apollo, Neptune and Hercules were specially honored here. From Roman hands, it came into those of Byzantines in the 7th century keeping the island till the end of the 12th century, who also constructed works of defense against Arabian pirates. After the sad outcome against Byzantium of the D Crusade in 1204, the island is offered to Andrew and Jeremiah Gyzi (relatives of Doges Dandolo). In 1292, it seems to have been looted by Katalans and is again left to the immediate control of Venetians by the dead last Gyzi in 1930?. 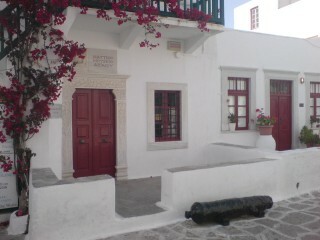 Since then, it has been a united territory along with Tinos. During the rule of Venetians, it is destroyed by Chairentin Barbarossa, Admiral of Souleiman the Magnificent in 1537. While in Ottoman Rule, it is subordinated in the jurisdiction of the commander of the Ottoman fleet, Kapoudan Pasha and is nearly self-commanded according to the system of the time having βοεβόδα and επιτρόπους, who do their best to live in peace with Turks and Venetians (the latter are to withdraw definitely from the area with the surrender of Tinos to Ottomans in 1718). 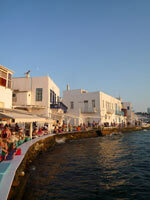 The population of Mykonos was enforced more than once from immigrants (from Crete or the nearer islands of Naxos, Pholegandros, Sikinos, Kimolos etc.) after epidemics following frequent wars, till the end of the 18th-beginning of the 19th century. During the Greek Revolution of 1821, the Mykonians led by the heroine of the island, Manto Mavrogenous, enthusiastically defeat a squadron of the Turkish fleet (1822) and participate with four armed ship in the Greek cause. Archeological excavations already in progress since 1873, in Delos, from the French Archeological School of Athens, had really imposed the area in the consciousness of the aristocrats who could and desired to travel around Greece. In 1930, many famous already visited the island and discovered along with the impressive ancient remains of Delos, the island’s rare grace. Mythology connected Delos with the birth of Gods Apollo and Diana. For this reason, Delos was a sacred place in the antiquity. As the relevant myth says, Delos was initially a small floating island sailing aimlessly in the sea. When Leto, daughter of Titan Koios, was left pregnant by Zeus, enraged June who persecuted her and she would find shelter nowhere. Then Zeus begged Neptune to offer her a shelter and Neptune set still the floating island and so Delos was shaped. Leto was given asylum in Delos and she gave birth to the twin gods. According to Thucydides, the first islanders were Kars with piracy as their prime activity. In the 16thcentury B.C. Mycenaean people spread in the Cyclades who also settled in Delos. That must be the time that Delos started obtaining a sacred character which is also the case some centuries later, at the time of the Homeric Epics. After the end of the Persian Wars, the Alliance of Delos was founded in 478B.C, an alliance of cities-states at which Athens would lead. Delos was the base of the alliance and in that the common treasure would be kept until 454B.C. when Pericles transferred it to Athens. Some years after the Peloponnesian War, the second Delian Alliance was founded. Delos once again became the centre of the Alliance till 314 B.C. when Macedonians under King Antigonos Gonatas took the island from Athens and claimed it independent. This independence period which lasted from 314 to 166 would be a prosperous one for the island. The island evolved to an important merchant centre. It would develop even more after 166 B.C. when it came under the rule of Rome. 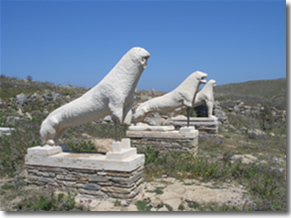 Delos did not face dangers of raids due to its sacred character. However, this did not stop Pontus King Mithridates to proceed to a loot of the island in 88B.C. During the 8th and 9th centuries the island was successively attacked by Slavs at first and Saracens later resulting in the complete abandonment of the island. 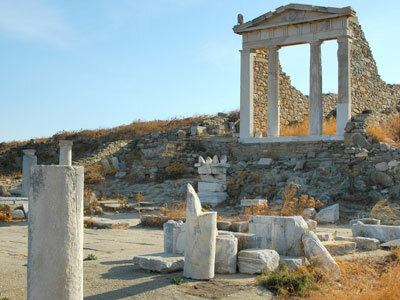 Delos came to light again at the end of the 18th century when the excavations started on the island. 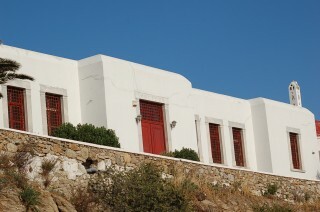 In Mykonos you will find local products such as almond sweets, battered cheese and louza(salami). 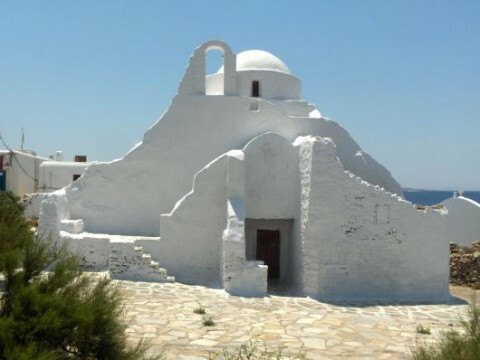 In Mykonos, you can visit the mills, the lighthouse of Armenistes and churches like Panagia Paraportiani.